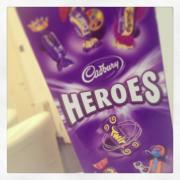 Today in the office we received a box of chocolates as a thank you from a client. Phil had a Tummy Tuck with Prof Nejedly and was so happy with his results that he sent some chocolates to our team. It is lovely to receive chocolates from happy clients but what makes us most happy is seeing clients with the results they have always wished for.